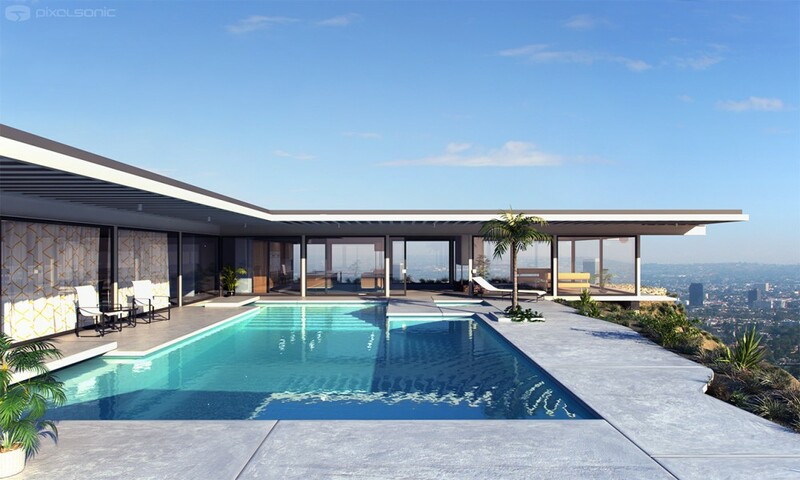 I have been passionate about the mid-century homes that was built in southern California by great visionaries such as Joseph Eichler and John Lautner ever since I first saw one. The Eichler mid-century-modern houses are especially sought after today and the prices to own one of these babies, are getting higher and higher by the day. Perhaps common people (aka squares) have finally realized how amazingly simple and beautiful the houses were back in the 1950s and 1960s? Today over 11 000 single-family Eichler homes are still in use in California and to inspire you I present a bunch of high resolution photos from (among others) the Case Study House project that was initiated in the late 1940s to experiment with residential architecture. If you want to read more about the CSH program I can highly recommend the Taschen book with the same name. Available to buy at all good bookstores for less than $10, it’s a bargain!